I got up very early today for a social media event and got back late from the office. This called for drinks recipes. Plural! The first is an adaptation of a Martha Stewart recipe for a champagne drink she calls Starlight Royale and recommends for winter weddings. Weddings are not my thing but I liked the sound of the drink. Instead of lime I used lemon and instead of grenadine I used lavender sirup. 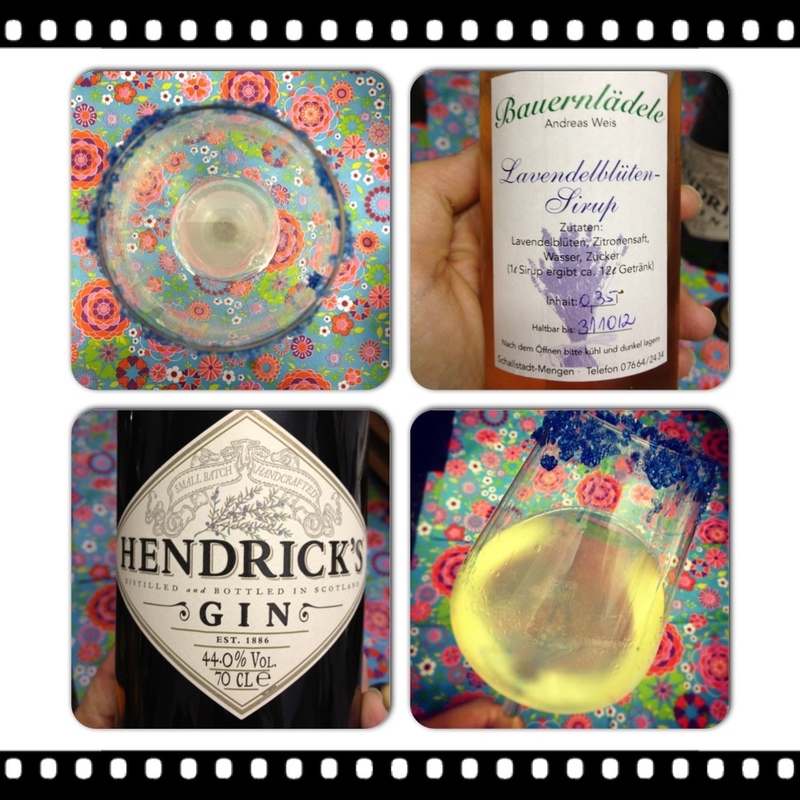 Mix lemon juice, lavender sirup and gin in a glass and top it up with bubbly. That’s it. It is lovely! No need to include a winter wedding, though. The drink – which I call Lavish Royale – is perfect on its own! Tonight one drink was not enough. 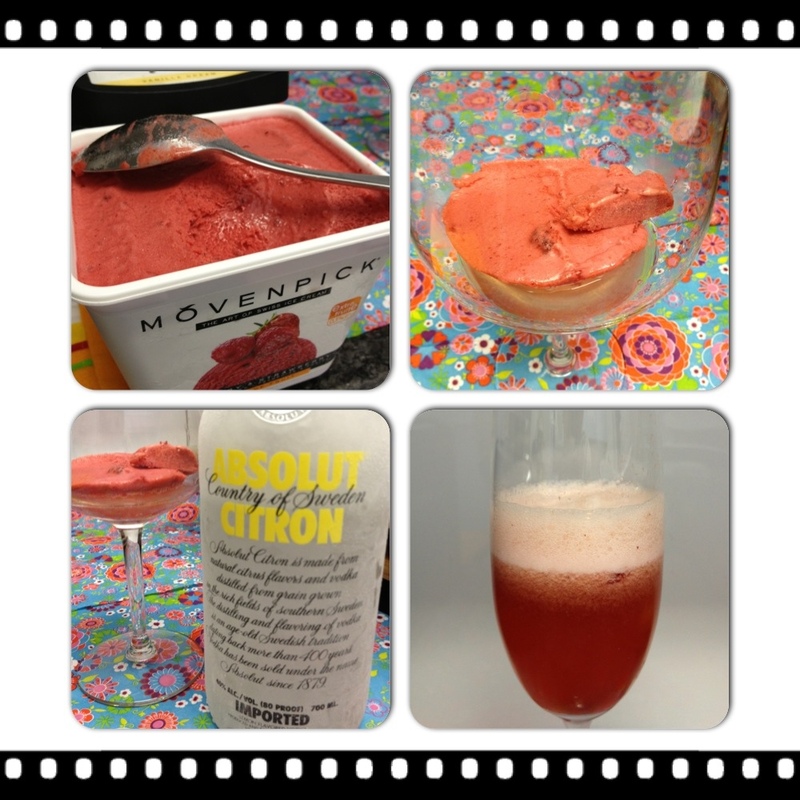 The other recipe is from a website claiming to contain the 50 best champagne cocktails. This drink is called Grownup Granita. It should be made with lemon sorbet. I could only get raspberry sorbet but that worked just as well. I poured some lemon juice in a glass, added a generous dollop of sorbet and lemon vodka. Mixed it all together and topped it up with prosecco. Two delicious drinks for a midweek bubble feast!